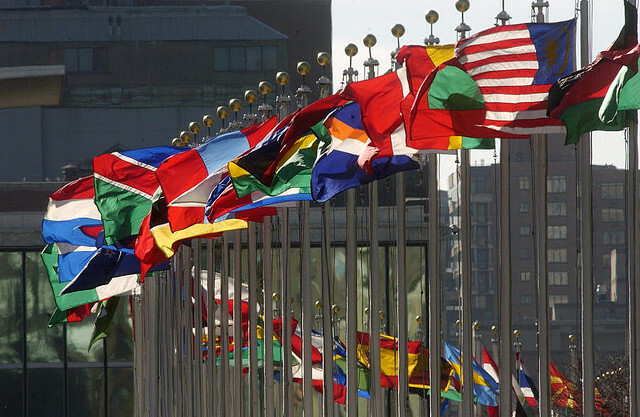 Canada has long been recognized for its peace-keeping role around the world. Canadian values of freedom, respect for human rights and cultural differences and a commitment to social justice has developed this country to a welcoming and inclusive nation. However, a recent elevated violent crackdown on civilians in an eastern province of the Saudi kingdom using Canadian-made arms has raised concerns regarding upholding Canadian values at international level. At least eight people have been killed, tens arrested, and many wounded in the eastern Saudi town of Awamiya as government forces conduct an operation against pro-democracy Shia minority. Hundreds of people have reportedly been displaced, and Saudi government forces have been firing indiscriminately on local homes and businesses as it lays siege to the town. 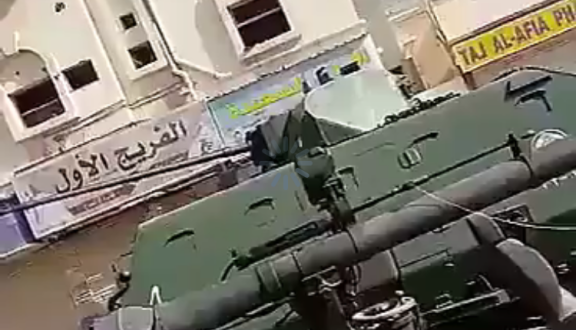 According to the Globe report, images shared on social media show Saudi forces employing Gurkha RPVs, made by Terradyne Armored Vehicles near Toronto, and Canadian-made armored vehicles. In 2014c Ottawa first announced a CAD $15-billion arms export contract with the kingdom under Prime Minister Stephen Harper and your government has since put its support behind the deal as well. As a human rights activist and on behalf of the Shia Rights Watch (SRW), I am writing to ask you to suspend arm deals with Kingdom as Saudi authorities are misusing Canadian-made military equipment to oppress its citizen. Usage of such equipment on civilians in addition to limiting their access to medical resources, sieging the city and raiding homes and businesses are some serious human rights violations, and Canada should not be part of such action. SRW urges you to stand up for human values and conduct an investigation in that regards. Also, we invite you to stand up for human rights and dignity by suspending any arms deal with Saudi Arabia. As human rights defenders, we at SRW believe your call on the Saudi authorities sends a powerful message to all leaders and presents Canadian values of putting human rights first. On behalf of the Right Honourable Justin Trudeau, Prime Minister of Canada, I would like to acknowledge receipt of your correspondence regarding arms sales to Saudi Arabia. 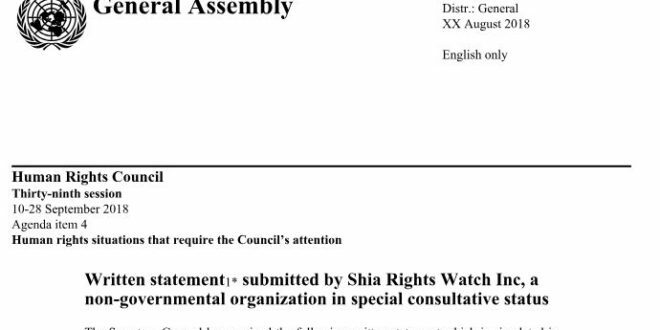 Please be assured that your comments, offered on behalf of Shia Rights Watch, have been carefully reviewed. I have taken the liberty of forwarding your email to the Honourable Chrystia Freeland, Minister of Foreign Affairs. While the Prime Minister appreciates being made aware of your concerns, he will leave the issue to be considered by Minister Freeland.